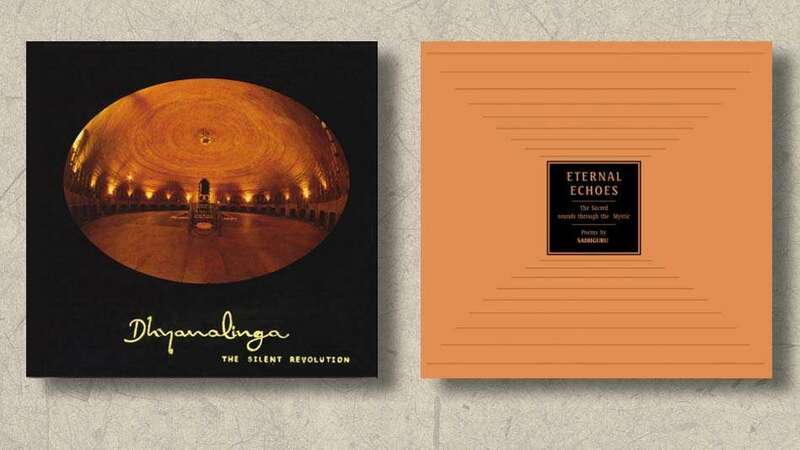 Over the past month two of Isha’s earliest books have been released as ebooks – Dhyanalinga The Silent Revolution and Sadhguru’s poem book Eternal Echoes. Dhyanalinga – The Silent Revolution is the first book that introduced Dhyanalinga to the world. Published in 2000, barely a year after the Dhyanalinga was consecrated, the book was the very first to be published by Isha. 128 pages of rare photographs, vivid paintings by artist Thota Tharani, and award winning design introduce the reader to the science of yoga, the history of lingas, the construction and design of the Dhyanalinga parikrama, and finally, to the saga of three lifetimes – the consecration of the Dhyanalinga. The ebook is a scanned and updated version of the now out-of-print book. When the book was released thirteen years ago, the proceedings from the sale went towards the completion of the Dhyanalinga outer parikrama. Today, the Dhyanalinga Complex still remains to be fully completed. Isha therefore offers this ebook on a “you decide the price” basis. All proceeds from this ebook sale go towards the completion of the Dhyanalinga Complex. Eternal Echoes is an anthology of poems penned by Sadhguru. Expertly expressing love, devotion, longing, struggle, seeking and bliss – Sadhguru’s poems are a true portrayal of the many facets of the master. Each poem is illustrated by a carefully chosen picture of the master himself, accentuating the mood of the poem. God is. You have to pplay too. Sounds of Isha announces their revamped website with all your favorite songs, chants and more.